Orthodox Cultural Center Sofia in Vuosaari in Helsinki was a noteworthy stage for a unique and multicultural meeting where culture, people and wines were together. Sofia is a place for people to meet and slow down. 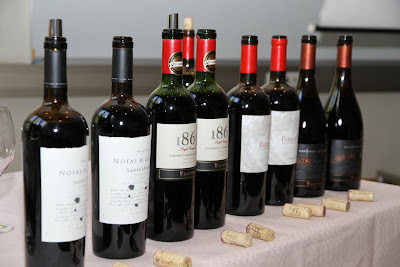 It was also a positive, one of a kind duel with two Chilean winemakers and their wine creations. Metropolitan Ambrosius, head of Orthodox Church in Helsinki, Capitol area of Finland, is broad minded and erudite person with humanity and culture. Metropolitan had invited Eduardo Tapia Riepel, Ambassador of Chile in Finland and a few other persons from cabinet, press and wine industry to spend some time with Chilean wines and with a lot of free discussions. Before gathering people had the opportunity to follow evening prayer in the chapel. Then Metropolitan Ambrosius welcomed participants and briefly told about the icons on sight. 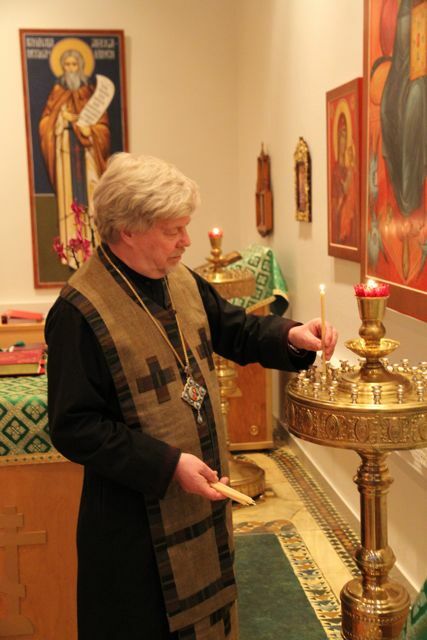 Metropolitan Ambrosius next to the altar with the background of icons. Then it was time to start with the tasting that could be called iconwine tasting owing to the icons and the premium wines from Chile. 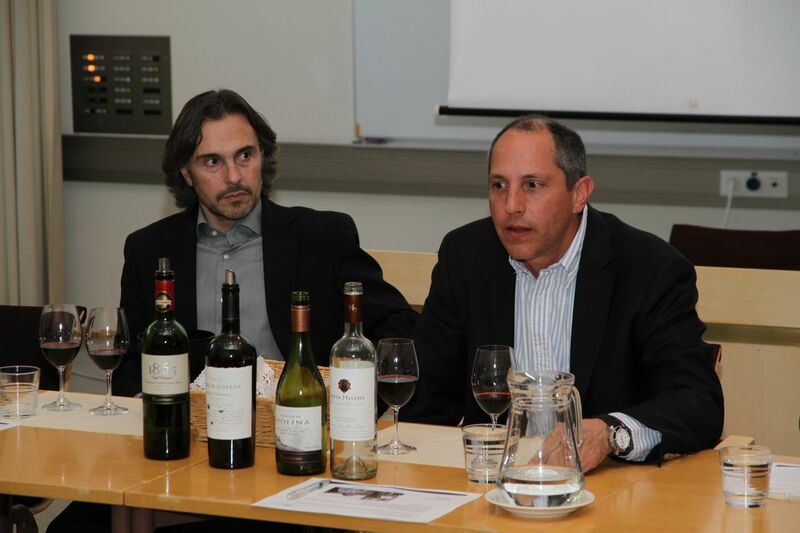 Marco Puyo, Chief Winemaker of Premium and Reserve Wines of San Pedro and Matias Fresno Rivera, Managing Director and Chief Winemaker of Santa Helena had brought three different wines to the tasting. Last two wines were ageless Parras Viejas and interminable Kankana. They represent absolut top of the wines of Chile. Top quality, personality and high prestige are attributes connected with iconwines. They are exceptional balanced and mature with aromas that have dept and lenght. Low profile and independent prestige earned by critics outside built the image of icons. Most important is the wine itself, its excellence and upright. Red wines of San Pedro and Santa Helena that were tasted. Marco Puyo and Matias Rivera during the wine session. Both winemakers were proud of their wines, and they had same kind of attitude to emphasize the quality and essence of wines from Chile. Parras Viejas and Kankana, wines that have something to say and to be remembered. Matias Rivera descripes his Parras Viejas as an ultimate expression of time. The wine is the expression of a 100 year old Cabernet Sauvignon vineyard from Colchagua Valley. The vines were planted on 1910 and their yield is very low. Parras Viejas is an unique wine from Santa Helena with all of the characteristics from an old vine; many layers of aromas and flavors, lower alcohol level, higher acidity, freshness, volume, structure, great length and long finish. With fine tannins and big ageing potential. Great wine that reveals know how and vision of Matias and the richness in nuances that only time can create. Marco Puyo descripes his Kankana as an ultime expression of terroir. Marco’s goal is to constantly look for new and better terroir where to create high quality wines. 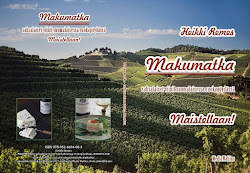 So he launched the Origin Project for Ultra Premium wines, and after four years he could present his masterpiece Kankana. Kankana is made on selection of grapes from special selected block of Syrah called Solar 10 in Elqui Valley, that is the northmost place to make wine in Chile. There Syrah grapes ripen under the mineral gleam of the Kankana, cold marine breezes and the magical evening of Elqui. The result is unique Syrah wine that is fruit driven, jammy, taste of endless layers of aromas and continuity that never stops. After the tasting Metropolitan Ambrosius kindly invited all to his residence for open conversation. Talks about the wines continued with small supper and some Chilean wines. Great meeting, great wines and great experiences.